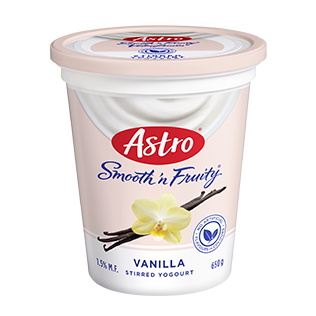 Smooth and creamy yogourt stirred with real fruit pieces. 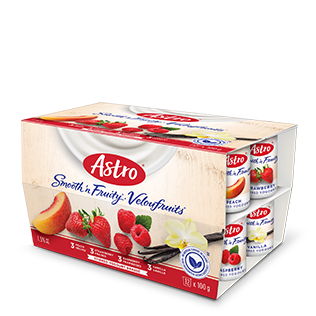 A tasty yogourt the whole family can enjoy! 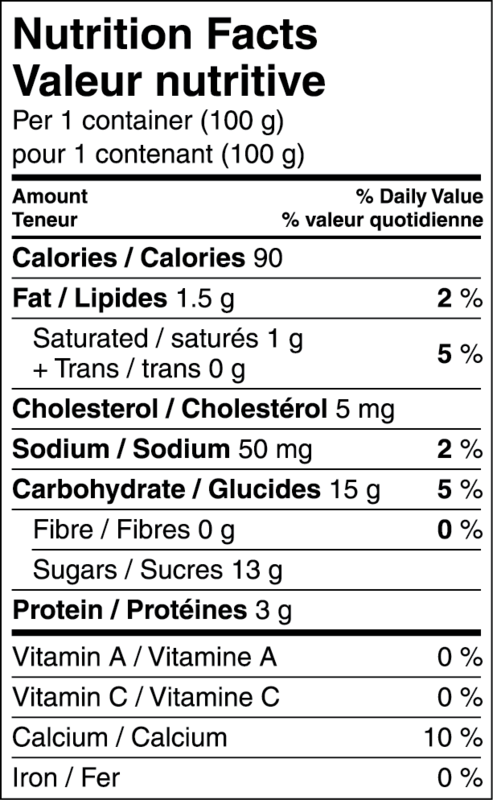 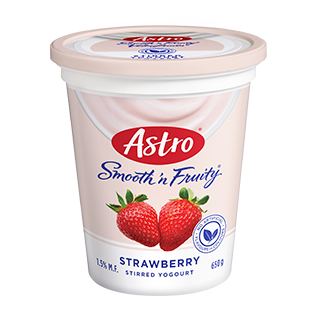 Skim milk, fruit blend (sugar, water, strawberries, modified corn starch, natural flavour, lemon juice concentrate, caramel colour (vanilla), colour), cream, sugar, whey protein concentrate, skim milk powder, modified corn starch, gelatin, potassium sorbate, active bacterial cultures.